We’re just over halfway through March and I am bringing you the February 2019 DegustaboxUK. I’m frantically trying to catch up with posts that have fallen behind schedule due to being so exhausted all the time – thank you chronic illnesses! I’ve now had two iron infusions over the last two weeks but I still don’t feel like I have more energy. I’m choosing to hope that it just takes a little while for it to work. So yes, February’s box was a really jam-packed one. DegustaboxUK also has a new look which I am really liking. 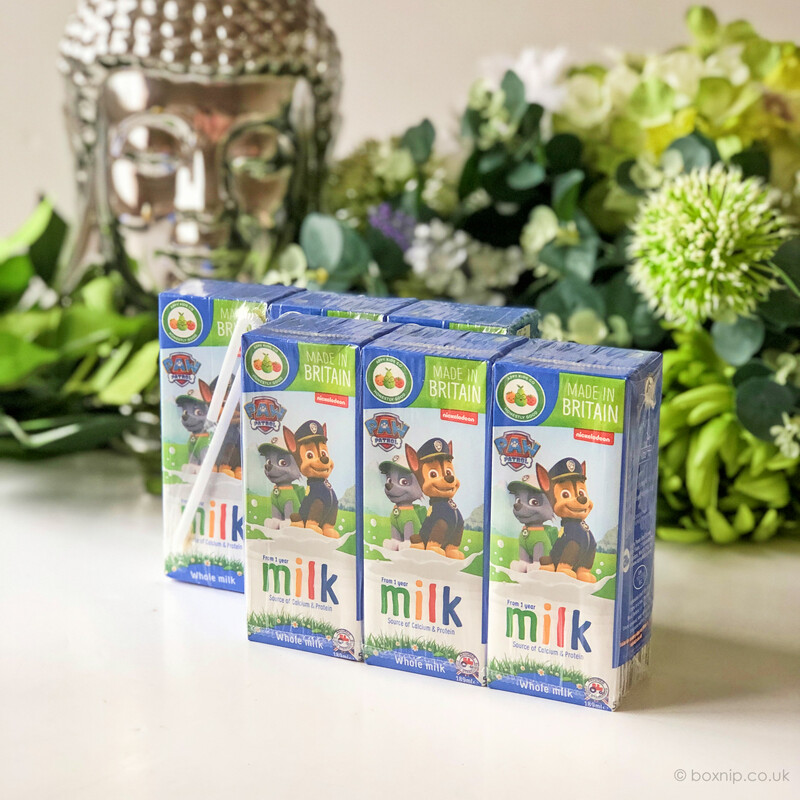 There were two packs of these adorable Paw Patrol themed Appy Kids Co Whole Milk Cartons. Both my granddaughter and my grandson love Paw Patrol, so these went down like a storm and get a big thumbs up of approval! 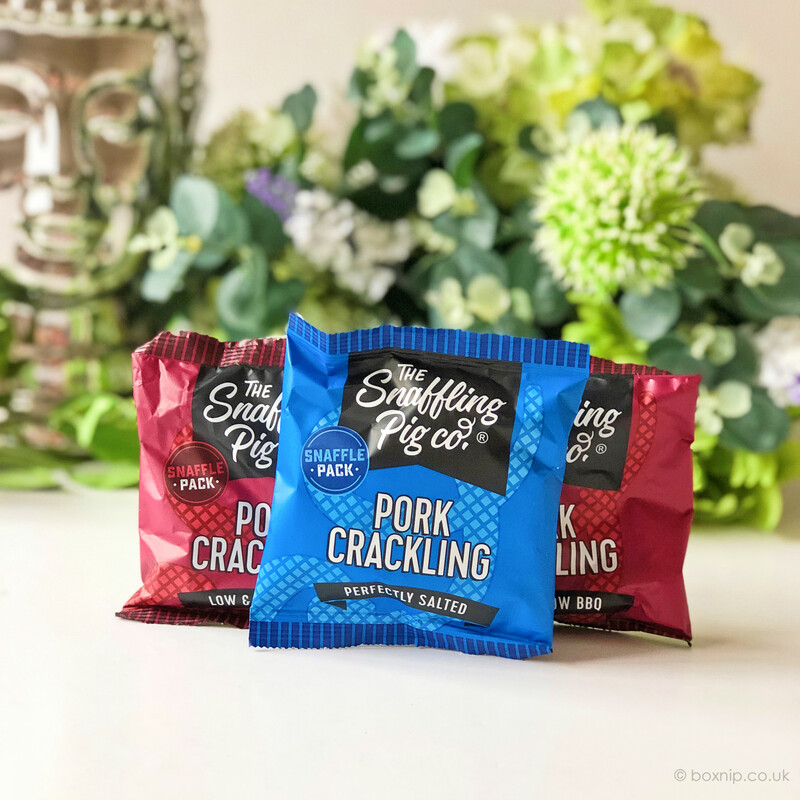 When I was younger I LOVED pork scratchings. I still like the saltiness of them but they are not something that I would choose to snack on these days. I did try one of these before they all went, just one piece of the Perfectly Salted ones and they were really tasty. I’m not kidding when I say the family took about 5 mins to devour these. 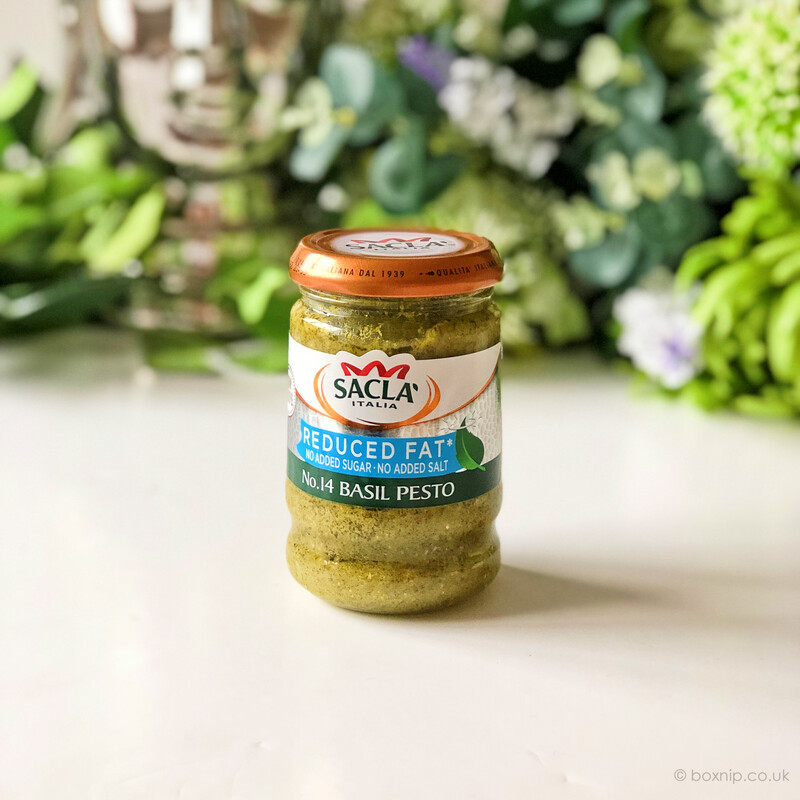 Pesto is one thing that I just do not like. I’ll be honest I am not a lover of herbs & spices and I don’t like basil at all. I left this to the family to try, they are far less fussy than I am! It is nice to see a reduced fat version though with no added sugar & salt. This makes a really different snack. 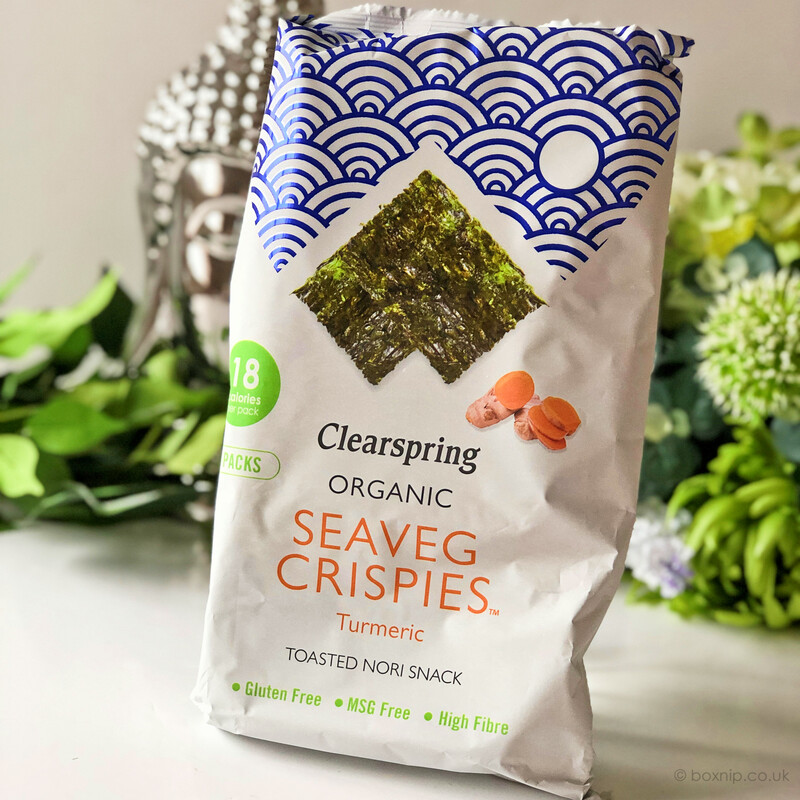 They are a very ‘light, toasted nori sea vegetable snack’. It might surprise you to learn that they are made using only four ingredients and only baked for just a few seconds. Plus they are gluten-free, vegan and high in fibre AND only 18 calories per bag. If you’ve never tried anything like this before, I would recommend giving them a try. I never expected to like them due to the Turmeric but they took me by surprise. 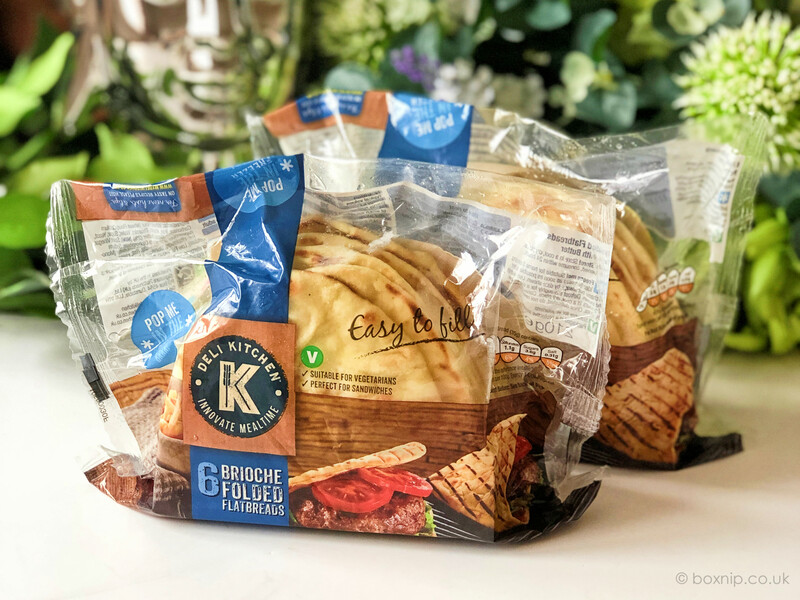 Also in the February 2019 DegustaboxUK were two packs of these Deli Kitchen Brioche Flatbreads. These were a fresh product so needed to be popped into the freezer to use at a later date. They are actually still in our freezer as we haven’t got round to using them yet. I like the suggested idea of putting a nice burger in them, or steak and cheese; it sounds delicious! 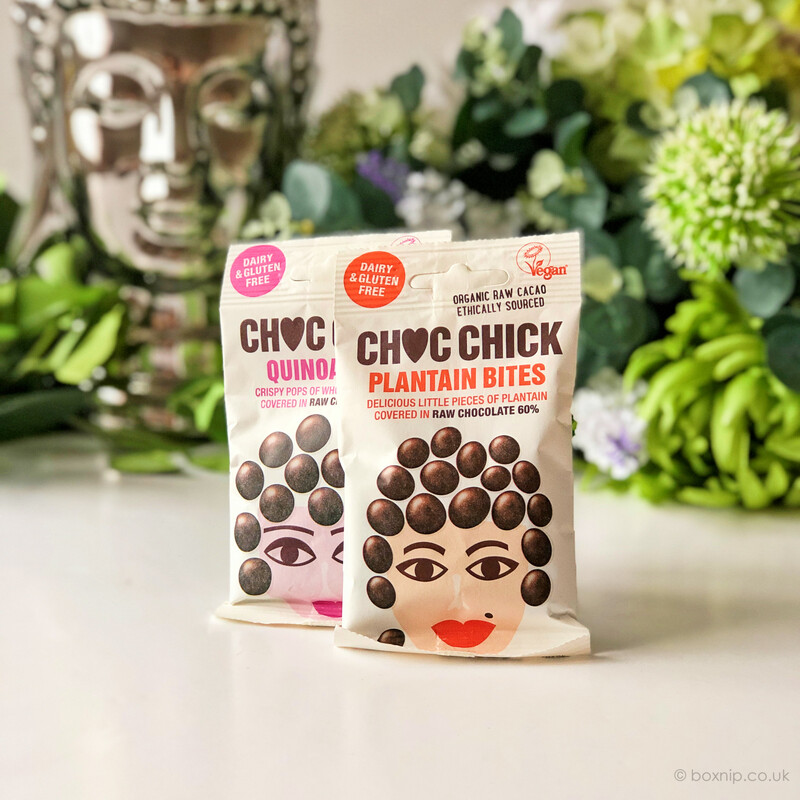 These Choc Chick Quinoa Pops and Plantain Bites are new Vegan snacks. If you have issues with Dairy or Gluten, then you will be pleased to know they are also Dairy & Gluten free. I didn’t think I would like these because I’m such a fussy eater. Surprisingly though I really enjoyed them – they also have 50% less sugar than most average chocolates. What’s not to love! Pasta is one thing that I’ve always really enjoyed, sadly not so much now because I have to try to have an LCHF diet thanks to Diabetes. 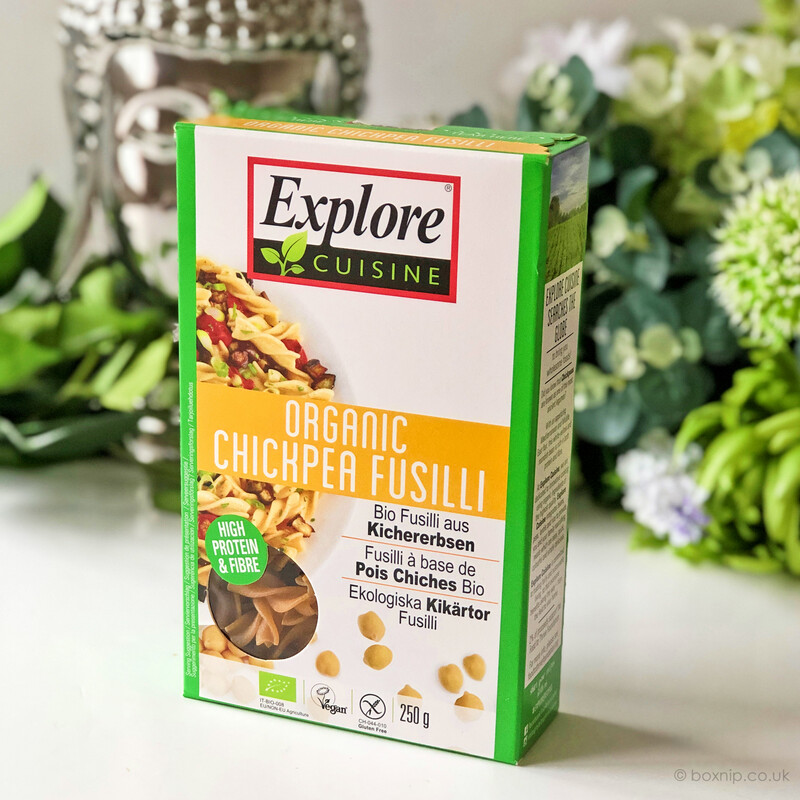 I’ve been meaning to check if this chickpea pasta is better for diabetics given it’s made from a plant-based protein. I’m thinking it probably is. I’ve still yet to try this. 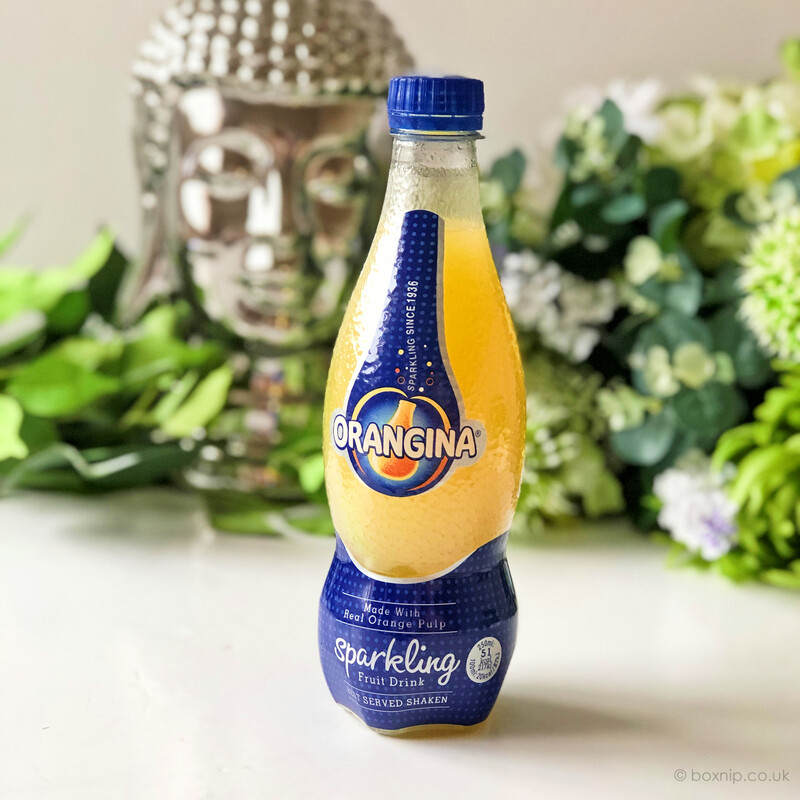 Orangina, ahhh I actually remember this when it came out and it was constantly being advertised on TV. I don’t think the taste has changed much, if at all. I liked it back then and I still like it now, though I do prefer the lighter one for less sugar. It’s just a really refreshing orange drink, either on it’s own or used as a mixer. DegustaboxUK is one box I always look forward to because it’s not beauty and everyone in the family can participate in trying the goodies. I love to see what is going to be hitting the shelves or has just come out. Especially as I never get to go out and go to a supermarket. 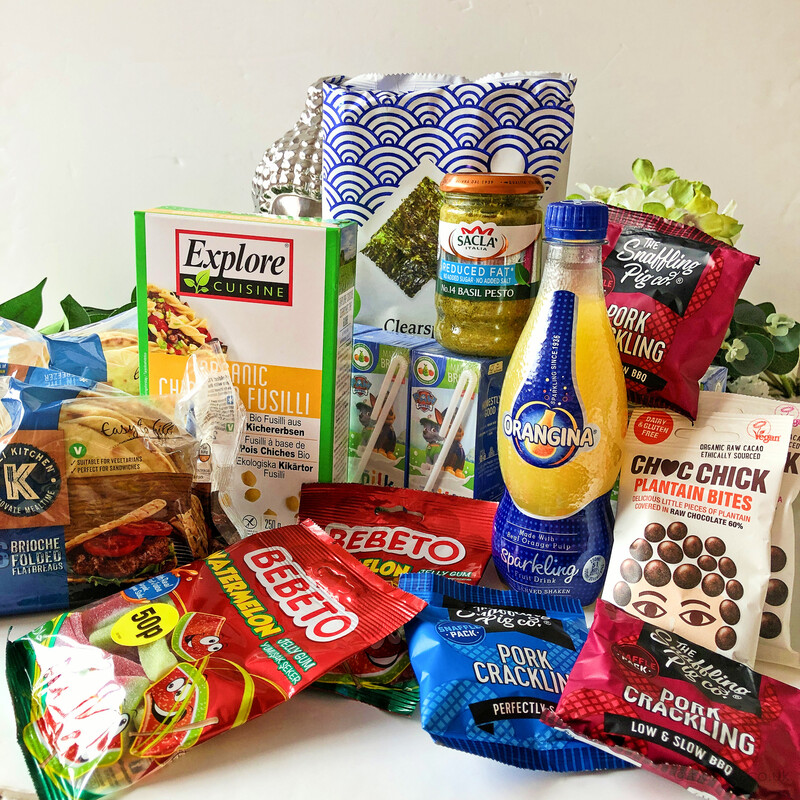 The February 2019 DegustaboxUK was a mixed bag…or should I say box. 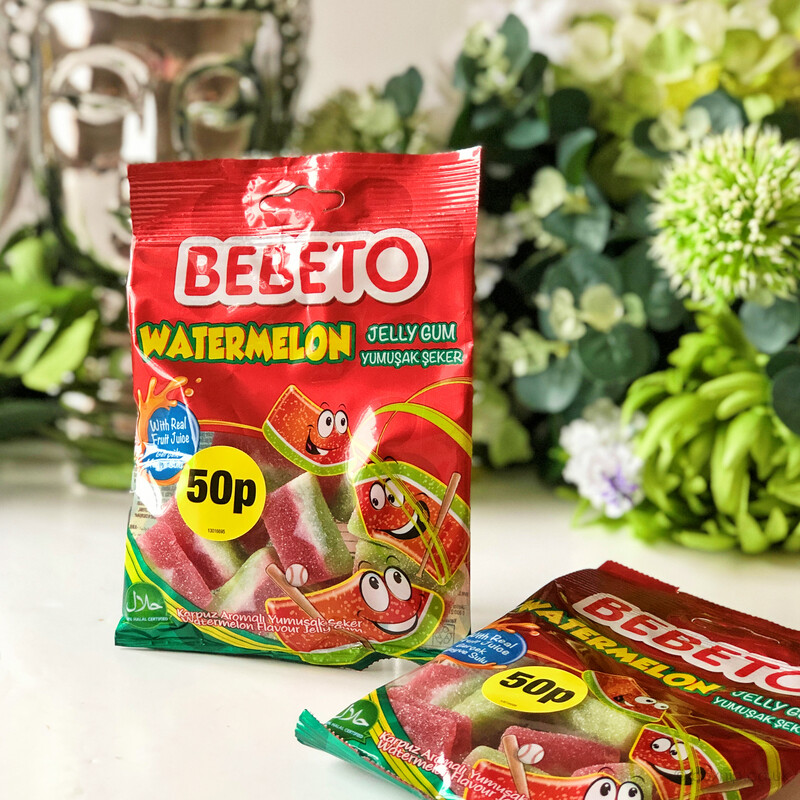 There were a lot of things to try but my absolute favourite item was the Bebeto Watermelon Jelly Gums – just so good! If you enjoy getting to try new products before they hit the shelves, then I really recommend you give DegustaboxUK a try. You’ll get up to 15 items a month and you can even get £5.00 off your first box by clicking the image below! What have you got to lose? You can also check out my reviews on previous boxes here. 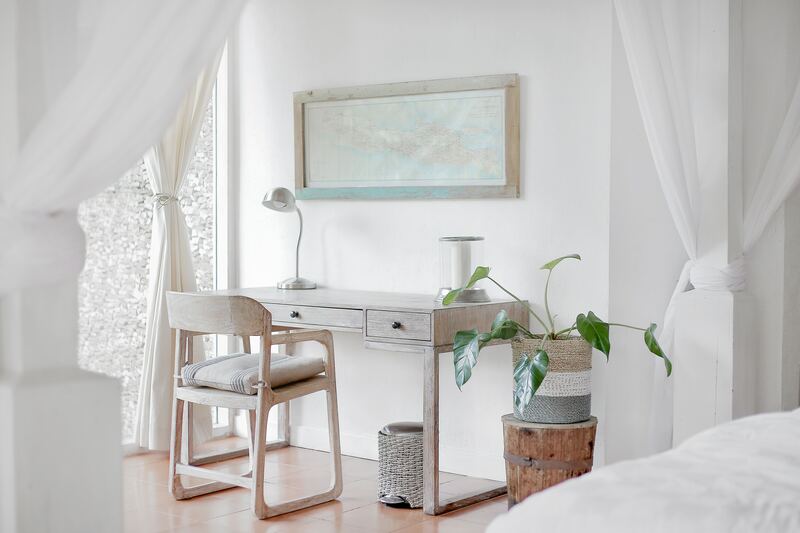 If you would like to sign up for a DegustaboxUK subscription then you can do so by clicking on the image below (Affiliate Link). You will receive your first box for just £7.99 instead of the usual £12.99. Enjoy this? Why not Pin It?